Experience: Mr. Derek Chime is Private Equity Africa Director at Standard Chartered Bank. 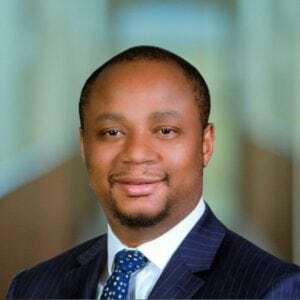 He is an emerging market investment professional with over 8 years of diversified experience in origination, deal execution, portfolio management and exit corporate finance and principal investing in Africa. Mr. Chime is directly responsible for managing around USD450 million of invested capital under a USD900 million Africa fund. He has broad sector knowledge particularly across the power sector value chain, manufacturing, financial services and telecoms sectors. He currently sits on the boards of five (5) portfolio companies. He studied at the University of Lagos, Akoka and has previously worked in investment banking at Vetiva Capital Management Limited.